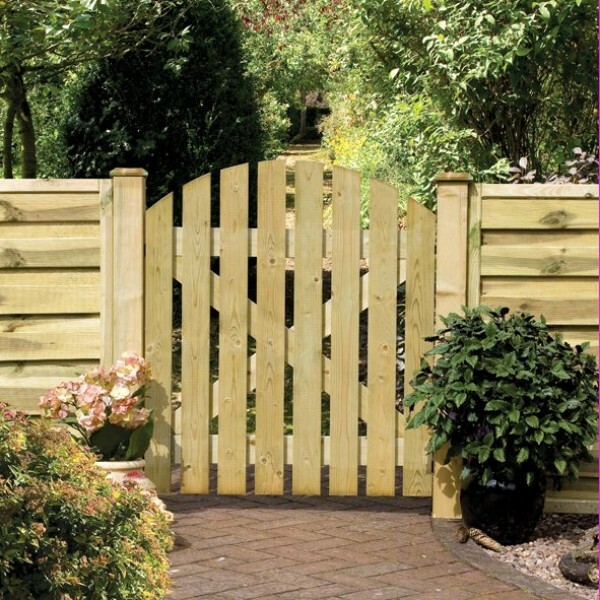 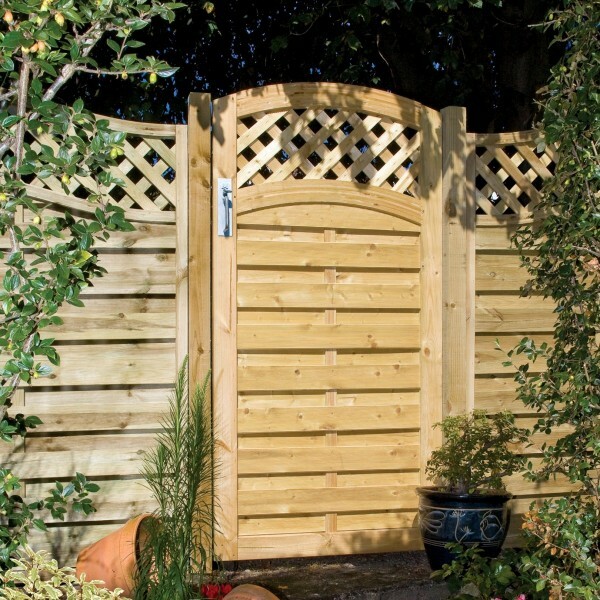 The Elite St Meloir fence gate offers a simplistic decorative design of a domed edge and grooved trellis and slats that will suit most garden settings. 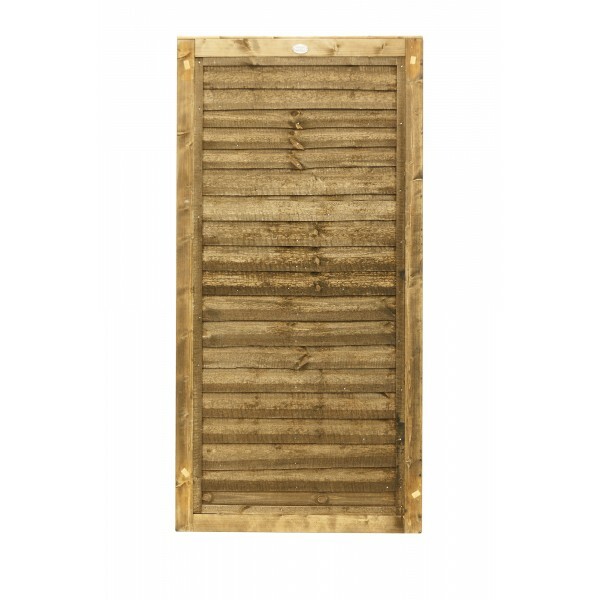 Compliments the St melior panels. 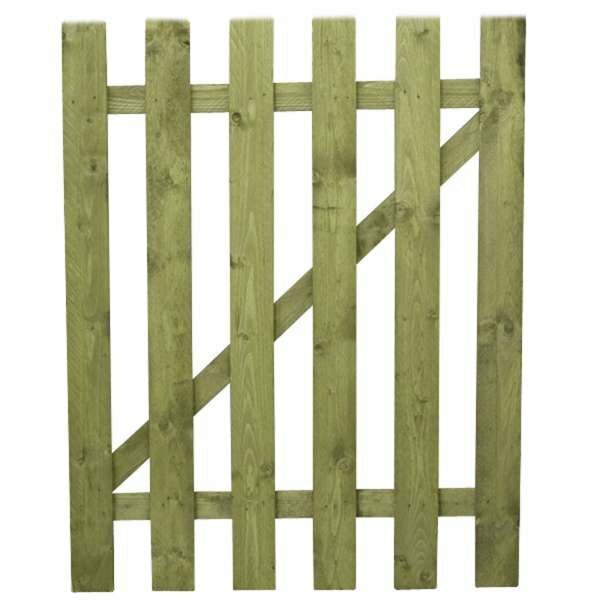 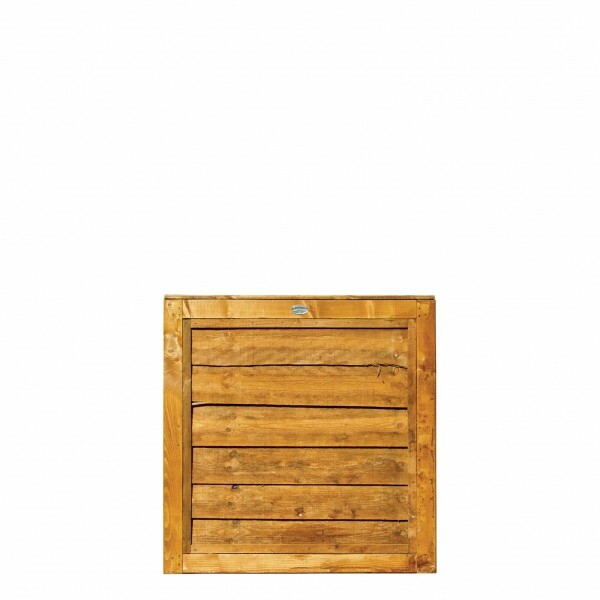 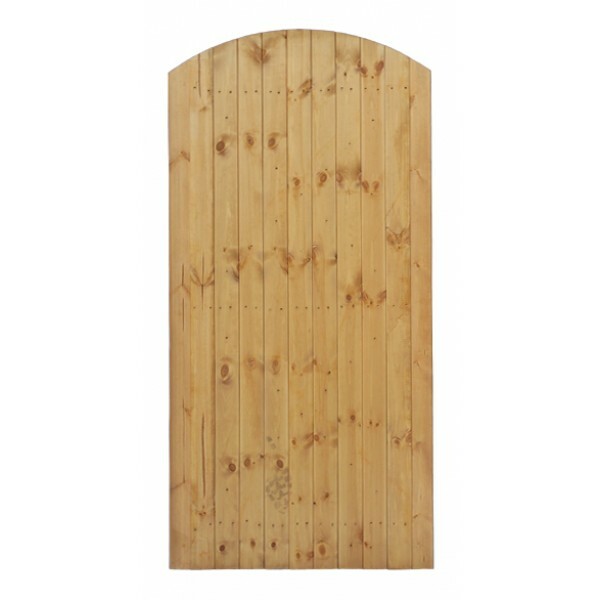 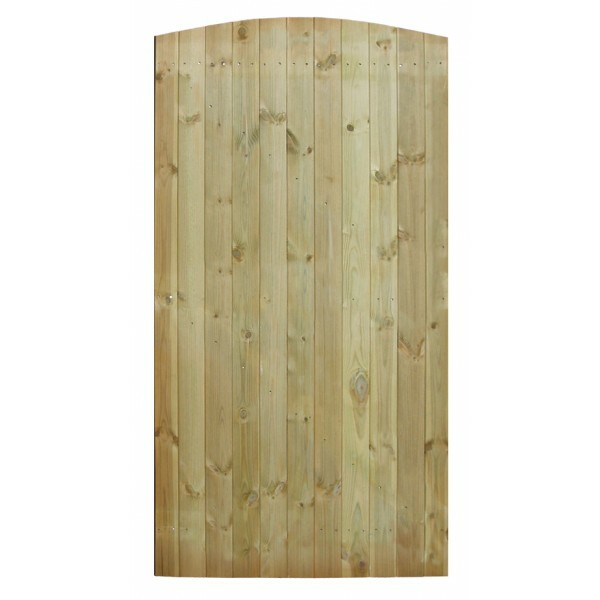 Easily hung from either side the gate features a fully mortise and tenon jointed frame which provides the ultimate security against high winds and turbulent weather conditions. 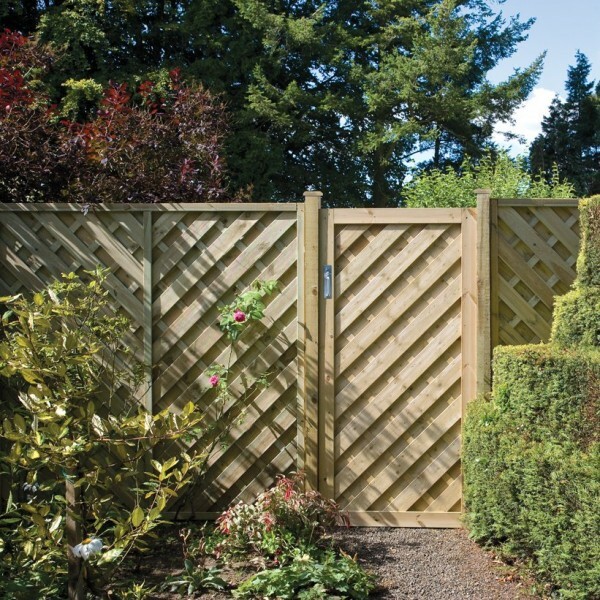 The gate is 44m thick and trellis hole size are 44mm square. 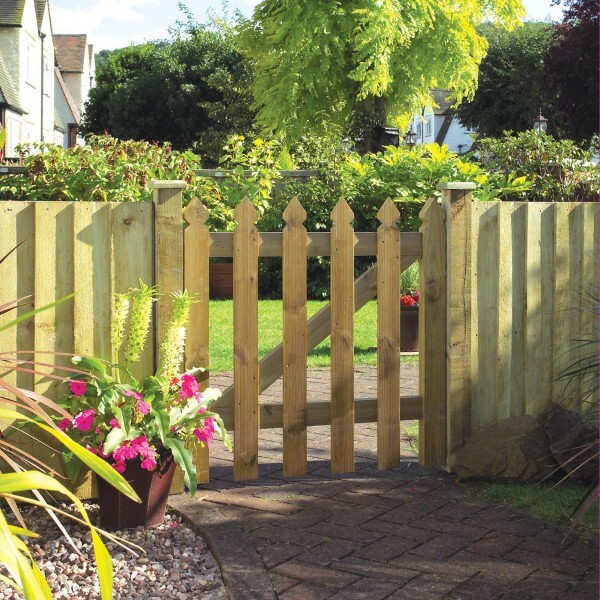 Pressure treated wood which provides protection ensuring longevity in use.